Perhaps anyone with the power to help also has the potential to harm. Certainly that's true in paddlesports, where harm can take many forms, from diminishing skill acquisition to squashing enthusiasm to causing physical injury. They are standard considerations in sports psychology, applied to both preparation for competition and to assessment of obstacles to performance. 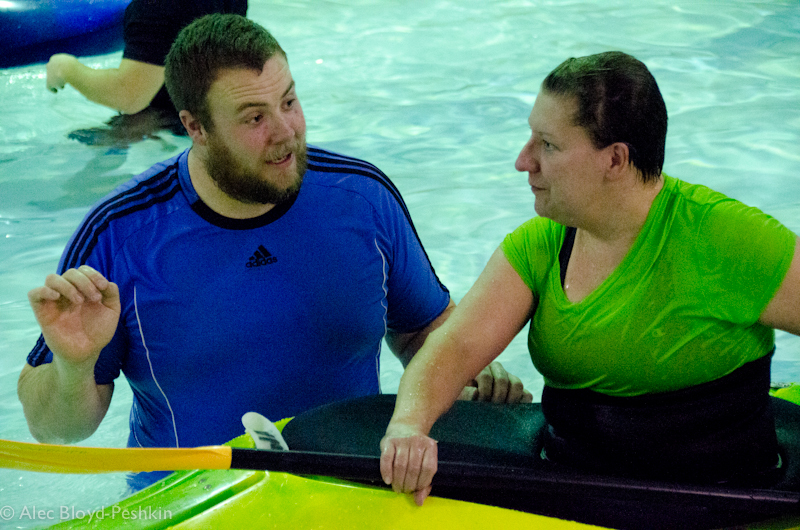 In paddlesports coaching, they are considered and accommodated for students' long-term paddler development. But it strikes us that they these four elements are also the key to doing no harm. Physical risks are probably self-evident. Good coaching requires proper biomechanics to prevent physical injuries. 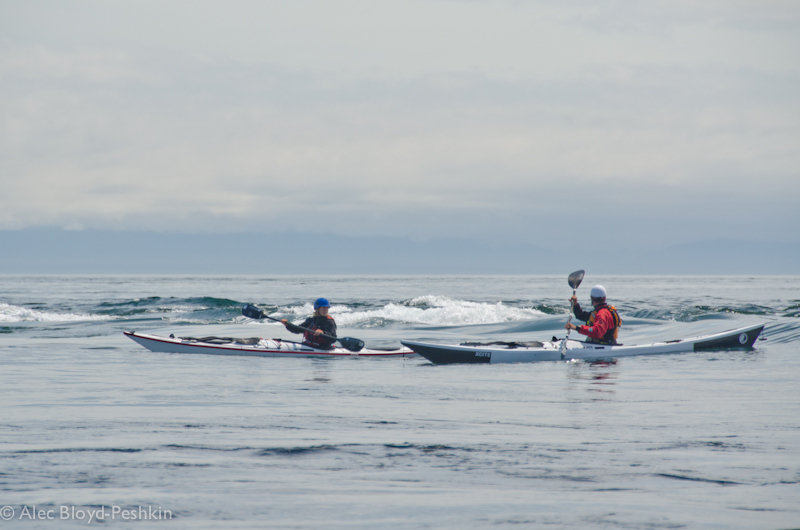 For example, shoulder injuries are among the common physical risks in paddlesports. Emphasizing good posture, torso rotation and the "paddler's box" develops habits that help avoid shoulder injuries. Psychological risks may not be quite as obvious. But think about the number of people who've confessed that they or someone they know had a bad experience and swore off kayaking forever. Or think about people with phobias and anxieties borne of a past bad experience in the water who won't take any risks because they are terrified of capsizing. Being aware of students' existing anxieties, and being careful not to create new ones, helps them progress. Technical skills learned well set students up for success. 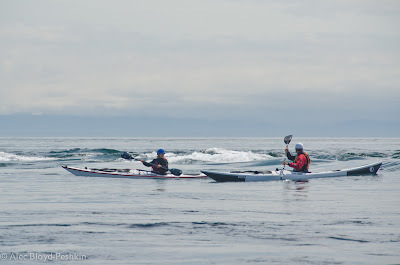 For example, learning effective, efficient ruddering strokes enables a paddler to enjoy surfing waves. Learned incorrectly, they set students up to spend endless hours with a different coach unlearning poor ruddering techniques and learning better ones. 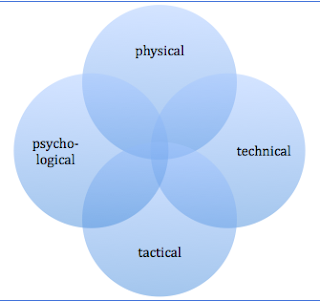 Tactical skills are the strategic use of technical skills in context. Edging the wrong way upon entering an eddy may lead to capsize regardless of the student's ability to edge. It's a matter of timing and appropriate application of technique. Again, doing no harm means coaching these skills correctly the first time around to help students avoid frustration and failure. All four of these are intertwined; to focus on any one of them in isolation is to miss the bigger picture of coaching the whole student. When we worked at Body Boat Blade this past summer, Shawna and Leon reminded us to incorporate P-P-T-T into every lesson plan. We continue to focus on each of these elements every time we plan a course or session, or evaluate our students' progress--not only because doing so will help them progress, but because failing to do so can actually harm them. Learning to paddle in an intimidating environment requires attention to physical, psychological, technical and tactical factors--and doing so makes it fun, not stressful. * For the classical scholars among you, we realize that the phrase "First, do no harm" does not actually appear in the Hippocratic Oath itself, but rather is how that oath has been popularized. It's just so much catchier than, "I will follow that system of regimen which, according to my ability and judgment, I consider for the benefit of my patients, and abstain from whatever is deleterious and mischievous." This year, we noticed a change to the NOAA marine forecasts. Instead of the familiar "waves 4 to 7 feet," they routinely added "occasionally to 10 feet." We wondered when this change was made and why. For answers we turned to meteorologist Bryan Tilley, who works on daily weather forecast production; severe weather watches, warnings, and advisories; and marine forecasts and Doppler radar programs for the National Oceanic and Atmospheric Administration (NOAA) and the National Weather Service (NWS) in Detriot/Pontiac, Michigan. HKWT: When was this change made, and why? 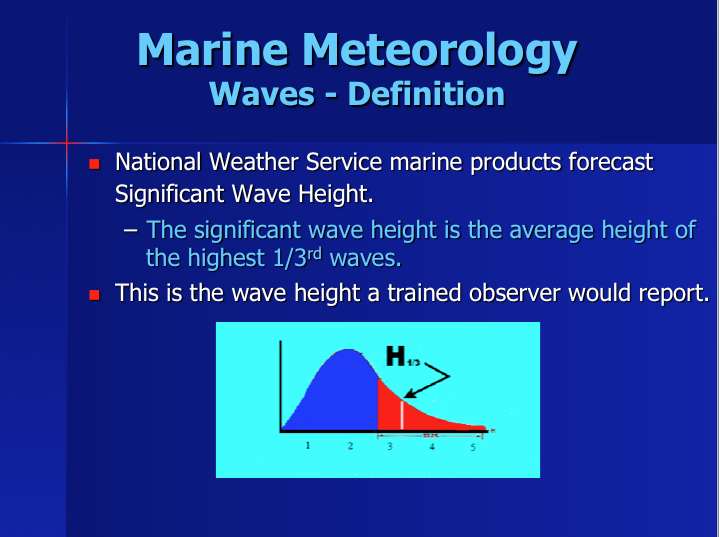 BT: The change you noticed in the Great Lakes wave forecasts was made at the Detroit/Pontiac office in October 2010 after collaboration with the U.S. Coast Guard and commercial shipping interests in the region. Not all NWS offices in the Great Lakes have made this change, as it remains under development. Chicago is the only other office using the terminology. The idea is to better represent the spectrum of wave conditions in a given weather pattern rather than just the significant wave height. HKWT: What does "occasionally" mean in this context? Assuming a Rayleigh distribution to the wave spectra (which works well in the Great Lakes), the maximum wave height (1/20th wave) is approximately 147% of the significant wave height (the average of the highest 1/3 waves in the spectrum). As an example, if the significant wave height is 5.5 feet with a dominant period of 10 seconds, the 1/20th (max wave) will be 8 feet and will be observed at any given location roughly every 3 1/2 minutes. HKWT: Has the method of prediction also changed in any way? BT: The method of prediction has not changed. 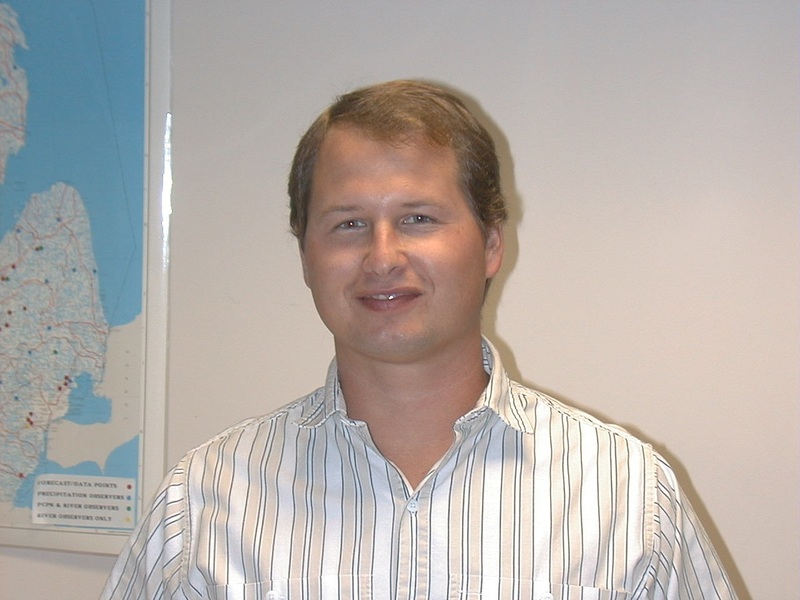 Waves on the waters of the Great Lakes are simulated with a model based on wind and temperature input by meteorologists. The wave spectrum data is part of the simulation and we are now including it in the forecast wording. 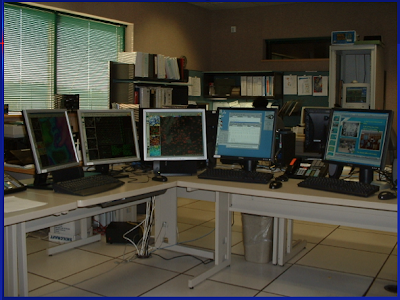 National Weather Service office in Detroit/Pontiac. HKWT: What do you hope this change will achieve? BT: We hope the presentation of the max wave data will give forecast users a chance to evaluate the potential worst case scenario in a given weather pattern for the day. It adds a layer of probabilistic data to the forecast that, hopefully, aids in decision making. HKWT: When we paddled in the San Juan Islands, we looked at synoptic charts to get a better idea of what weather patterns to expect. Do we have access to those, or to something similar, here? Who invented that? The pogie's history revealed. Do you ever love a piece of kit so much you just have to know whom to thank? We feel that way about our pogies--the only thing that keeps our hands warm when it's too cold for gloves. So we were thrilled to read in the latest issue of Canoe & Kayak magazine that Bonnie Losick invented them in 1974. Our favorite pogies, made of nylon with a fleece lining. A 2010 Whitewater Slalom newsletter revealed the answer to the quiz question, "I invented the pogie, and named it after a trash fish common in the harbor where I was living at the time. Who am I?" The honorable mention answer was Bonnie Losick, but the correct answer was submitted by Bonnie herself, who wrote: "As much as people keep assuming I invented pogies, I did not. 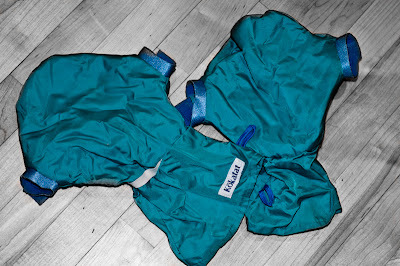 Billy Nutt was training with them so I think he invented them, unless somebody else also invented them independently." Bonnie cleaned up the design, but slalom champion Billy Nutt came up with the original detachable sheath that covers the hands and connects to a paddle shaft. He named them after a bait fish because he wanted them to be called something "ridiculous." "I taught Bonnie Losick how to make them and she trademarked and manufactured them under the name 'The Bonnie Hot Pogie,'" he writes in the newsletter. "When I made my first set, my mother told me I ought to look into patenting them. I thought that was absurd. I figured the market was so small as to be worthless. I expect it would have been worth it. Mom's always right! There you have it." 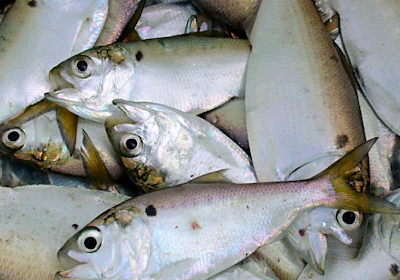 The "ridiculous" bait fish after which Billy Nutt named his invention. We recently posted a request to a local paddle club listerv seeking five "guinea pig" students for a coaching update we're helping run. Within two days, we had more than a dozen volunteers who were eager for one hour of free rolling instruction. We accepted the first five, and told all of them about an upcoming three-week bracing and rolling class at the same location. So far, none of them has signed up. We were struck by the fact that all of the respondents mentioned their frustration at having an unreliable roll and acknowledged their need for instruction, but none was interested in signing up for an inexpensive, three-session course. What is it about "free" that induces people to spend time and gas, while even a modest fee discourages them? And more importantly, why do so many people think that paddling instruction should be free? We can hardly begin to calculate what we've spent over the years on training and certifications, let alone the cost of the gear and travel that enabled us to develop as coaches and paddlers. We've put a lot of time and money into kayaking, and we plan to spend more, because we value the sport and what it has given us. All the coaches we respect most, including our mentors, are also committed to ongoing training. Obviously, we aren't in this for the money. Coaching is tremendously rewarding in other ways. We get to introduce people to a sport we love, figure out how to motivate and coach them, and watch them progress. We get to dream up new games and activities, explore new ideas and techniques, and share what we learn with others. Like any passion, coaching becomes a microcosm and metaphor for everything else in our lives. So it's baffling when others don't see its value. To be fair, we don't have any trouble filling our courses, and the people who do enroll demonstrate their appreciation for paid instruction. But what about all the people who publicly state their desire to improve but won't pay for lessons? Why do they think instruction should be free?